7 Best Drones For Travel [Fall 2017] 7km Range, 27 minutes..
Today we’re here to talk about portable drones that are suitable for travels. We have created list of top drones and now you are about to see what’s the finest travel drone available on the market. In the sea of modern day drones, it is pretty difficult to find those that you can easily carry around without having to drag a huge metal case with you. This is because most premium models are these huge, bulky pieces of tech gadgetry that barely fit into your car’s trunk. It’s difficult for manufacturers to cram up all those sensors, chips and whatnot into small size factors, which is why there are only just a couple of miniature drones available on the market. Still, these drones are all pretty decent in terms of specifications, although you will notice one big drawback that is common with all of them. I am, of course, talking about battery life which is drastically lower than that of normal (read full sized) drones. Still, despite that, these miniature drones still excel in other aspects. Today we’ll find out what’s the best drone for travel photography. With that in mind, let’s take a closer look at the 7 best traveling drones! Should I travel with a drone? 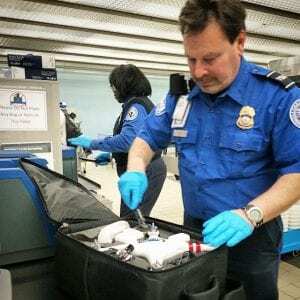 If you own a drone and you’re going abroad for some time, then you must be wondering whether or not you should take it with you. Well, if you ask me, the obvious answer I’d give you is – why not? I mean, you’re going somewhere, probably with the people you love (or to people you love) and there are most likely going to be amazing photo opportunities. So why not take the most out of them? If you own a drone with a proper camera, it can definitely capture some of the dearest moments of your vacation… and trust me – those are priceless! Are drones allowed on a plane? This question is a bit difficult to answer. While drones (and their respective batteries) have several different regulatives heavily varying from company to company, I’ll still give my best to issue general tips before flying with a drone. First of all, you need to understand that your drone must be your carry-on luggage and not checked-in. Also, keep in mind that it would be a good idea not to carry sharp objects (blades, screwdrivers and so on) in the same container as LiPo batteries. While we’re at LiPos, it’s important to note that you are not allowed to carry more than 2 spare ones on the plane. Additionally, you also need to make sure they are all below 30% of their power. Depending from company to company, you might also have to put your batteries in a separate plastic bag and put tape around their contacts. What makes a good travelling drone? The key aspects of a good drone for travel are its size and camera. While specifications such as flight time and range are also quite important, they’re a subjective matter and as such, won’t be included in this equation. The most important thing about a drone for travel is definitely its size. If your drone is too heavy or bulky, it might overburden you and cause problems on your trip. So, keep an eye out for the smallest, preferably foldable drones, that don’t lack good specifications. If you’re thinking of purchasing a drone for travels, you’re most likely aiming to capture some breathtaking aerial shots during your trip. If that’s really the case, then the camera on your drone is of crucial importance. With that being said, don’t settle for anything less than 1080p (AKA full HD) video footage and 12mpx sensor. One additional thing you should keep in mind is stabilization. If the drone lacks it, the end products (images and videos) will greatly suffer. How to choose a drone for travel? Even though you now know what to look for in a travelling drone, you still need to pick the right one that will suit all your needs. However, most of the models portrayed below can fit into several different groups, but you’ll still need to decide which group to go for. Let’s start with the basics. The first group of drones is extremely small but don’t necessarily have bad features and specifications. On the other hand, you have bulkier models such as the Mavic Pro whose specs are straight on point with much bigger models. So, whether you’re a frequent traveler or not, you’ll have one tough decision to make. But, if you can’t decide what particular drone to go for, then I’d warmly recommend DJI Spark. It’s a brand-new drone (it’s yet to come out in a month or so) that has awesome all-around features. It offers best value for money at the moment so it’s definitely a great choice no matter your travelling habits. Zerotech’s Dobby is the first easy to carry portable travel drone that I decided to feature in this list. It is not exactly the cheapest drone out there, but it’s still relatively affordable, especially when compared to other models from this list. Dobby’s biggest virtue is definitely its super awesome 13mpx high definition camera with its own dedicated 3-axis stabilization system. The camera has some interesting features in store for you. For instance, it is equipped with facial recognition and target tracking which will definitely provide you with solid assistance when trying to snap that perfect selfie. In addition to that, Dobby can also brag with its dual positioning systems, GPS and GLONASS (GPS for drones explained), which allow it maximum precision and stability while in midair. It is easily controlled via smartphone and works with both iOS and Android devices. Unfortunately for windows phone users, the official app has not yet been announced. 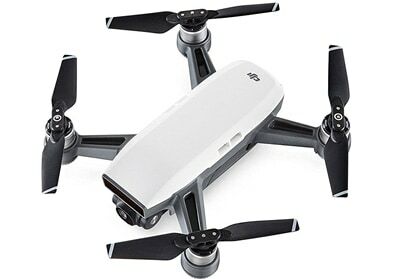 And lastly, it is important to mention that this is a foldable pocket sized drone that can easily fit into your purse or even some larger jacket pockets. 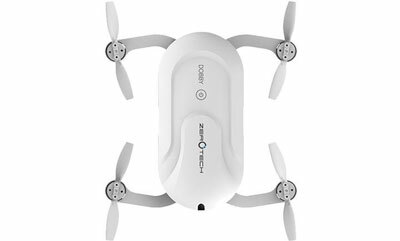 All things considered, if you are looking for a solid easy-to-carry drone and you do not want to spend a lot of money on it, then Zerotech Dobby is quite the bargain for you! Wingsland is a rather unknown portable travel drone manufacturer. That’s mostly because they have just started their journey in the drones’ market… and they did so in quite a spectacular fashion with the S6 (not the Galaxy S6 but the Wingsland S6). We are talking about a very small drone here. Even more so once you completely fold up the 4 rotors. 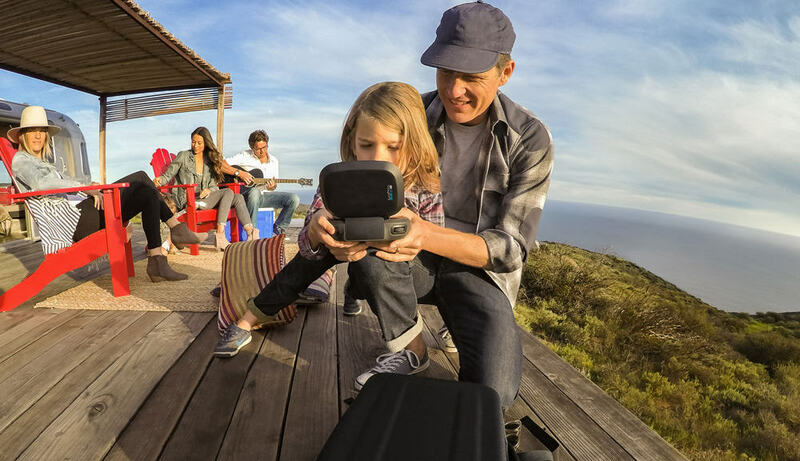 It easily fits into any type of backpack, in the smallest of compartments. Another great feature this drone comes with is the phenomenal 4K camera. It can take amazing aerial selfies which will leave your friends (and foes) extremely jealous. Unfortunately, the specifications aren’t exactly best in the world. You see, it can only go up to 10 minutes on a single charge. During that time, its maximum operating range is around 100 meters which makes it a pretty bad explorer (List of Long range drones). Still, if you’re just looking for a compact drone for an occasional selfie or two, there’s no doubt that Wingsland S6 can provide. We’re step closer to #1 best travel drone on our list. XIRO Xplorer Mini is a successor to Xplorer which was a massively popular drone back in its prime time. The folks over at XIRO wanted to continue on their recent share of success so they came up with the Xplorer Mini which has quite the potential to make a good name for itself on the market. With its beautiful black and yellow design with sleek finishing touches (red and green) here and there, XPlorer Mini looks like one aggressive miniature drone. The foldable rotors allow it to be extremely compact making it an extremely suitable trip partner. With its 13mpx HD camera it makes for a damn fine selfie drone. In addition to all that, it’s also quite important to inform you about some of its features. Mainly, I’m talking about GPS+GLONASS positioning systems which greatly help its overall stability and introduce various smart features. Moreover, it Is also finely poised with smart flight modes including Auto return to home, lost connection protection and low voltage failsafe. If you take the time and combine all of the specs and features mentioned above, you’ll realize that Xplorer Mini has a bright future ahead of itself. One of its main selling points is definitely the built-in indoor drone positioning system. What it does is basically provide the drone with information about its location and the surrounding area which results in it being able to position itself properly without colliding into walls or furniture. Unfortunately, as was the case with all other drones on this list so far, Breeze also suffers from low specifications. Just under 12 minutes of flight time and roughly 50 meters of seamless operating range aren’t too encouraging. It’s good for an occasional selfie or two, but for some advanced usage scenarios, there’s no doubt Breeze simply can’t cut it. But, despite that, I still firmly believe Breeze is a damn fine and one of best travel drone and warmly recommend. I believe most of you has already heard about DJI’s new drone – the Spark. It’s been all over the internet lately and I doubt many of you managed to miss it. Still, for those of you who have, here’s a brief summary of what to expect from it once it comes out this summer. This smartphone-sized drone can easily fit into the palm of your hand. As a matter of fact, the folk at DJI thought of that and incorporated PalmLaunch feature which lets Spark takeoff straight from your hand. Among other useful features such as ActiveTrack and TapFly, there’s also PalmControl which enables you to fully control your drone by using your bare hands. Stepping away from the features, I’m sure most of you are interested in Spark’s specifications. Luckily, there’s no need to worry. With 15 minutes of flight time and roughly 2 kilometers of range (with its dedicated controller), all other drones in its price range are clearly inferior. It’s equipped with a FHD camera too, mounted on a 2-axis gimbal for extra stabilization. So, with everything that’s been said about it, there’s no doubt Spark is going to make a proper stir on the market. Let’s start things off by stating that GoPro Karma cannot be considered as a worthy competition to DJI Mavic Pro. I know there are more than a dozen comparisons available online, but at this point in time, I’d say the 2 are not direct competitors. You see, DJI Mavic Pro offers the very best when it comes to portable drones. With superior specifications, hardware and miniature size, at the moment there are no foldable drones that can go up against it. On the other hand, GoPro Karma concentrates on both mobility and versatility which is an up-and-coming feat in the industry. That’s done with the Karma Grip accessory which transcends from the usual drone aerial photography and puts the matter into your own 2 hands. 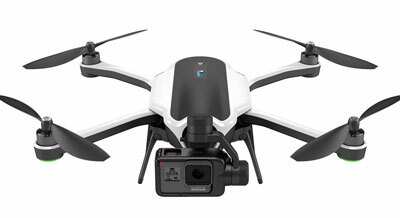 With a respectable action camera (GoPro Hero5), GoPro Karma effectively breaks the deadlock between handheld and aerial photography. Nowadays, more and more people are looking for versatility and that’s exactly where Karma beats DJI Mavic Pro. On a standard performance to performance test, it’s crystal clear that Karma cannot go up against DJI’s masterpiece. 18 minutes of flight time and 3 kilometers of range just can’t cut it. But still, if you are aiming for a drone that delivers not only aerial but handheld photography as well, then Karma is all for you! DJI Mavic pro is basically the only premium portable travel drone in this category. I’m not saying that all those drones mentioned above are bad, but the summary is quite simple – DJI Mavic Pro beats them by a mile. That is not surprising, especially considering that it costs 3 times as much than all other drones featured on this list. It’s a fact! But still, just look at its specs – 7 kilometers of operating range (all other have less than 0.5km combined) and up to 27 minutes (all other average around 8-10). I don’t even have to mention its breathtaking 4K camera, which makes DJI Mavic Pro ideal drone for travel photography. I’m sure you already realize what kind of a beast this is. 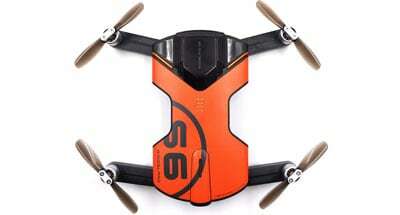 It has a plethora of features as well, making it, by far, the superior drone among them all. And the biggest surprise of everything above – it is approximately the same (miniature) size as all of the drone on this list. So, yeah, this is the best drone for travel. AMAZING! There you have it guys! Those were the best 5 drones suitable for travelling. As some of you probably noticed already, all of these drones are miniature and foldable, which is pretty much what makes the suitable for carrying around in the first place. 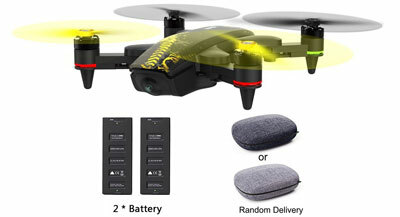 While you won’t have to splash out a bunch of money for such a drone since there are budget-friendly options available, if you want something that can actually take better selfies (TOP 10 Selfie drones) than your smartphone, you’ll be bound to spend more than a couple hundred bucks. That’s for sure!